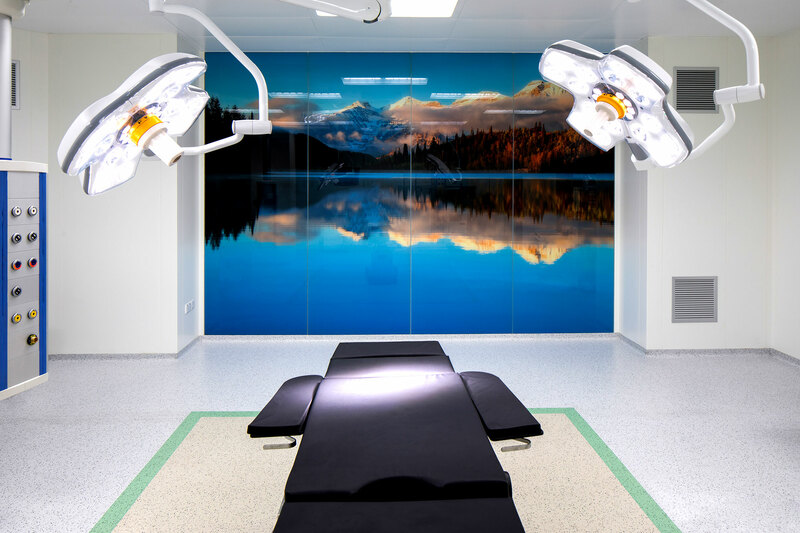 Veneto Vetro deals with the supply of antibacterial glasses for the operating rooms of numerous hospitals both, in Italy and internationally. 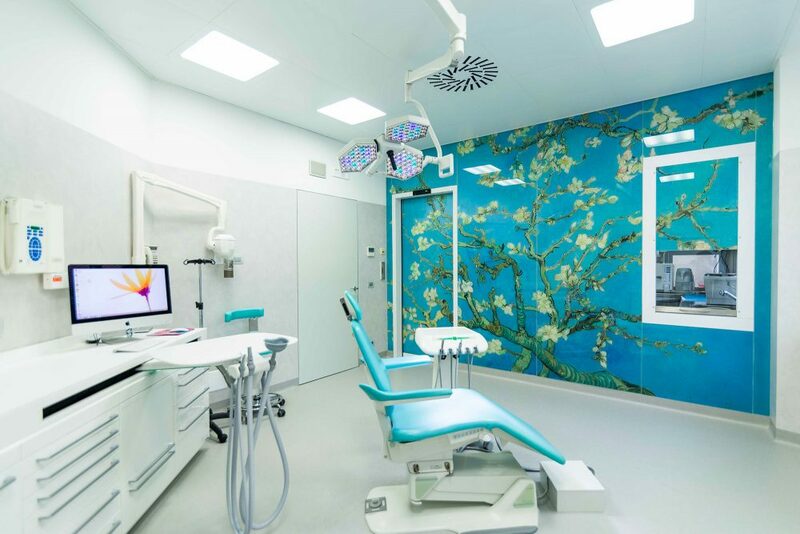 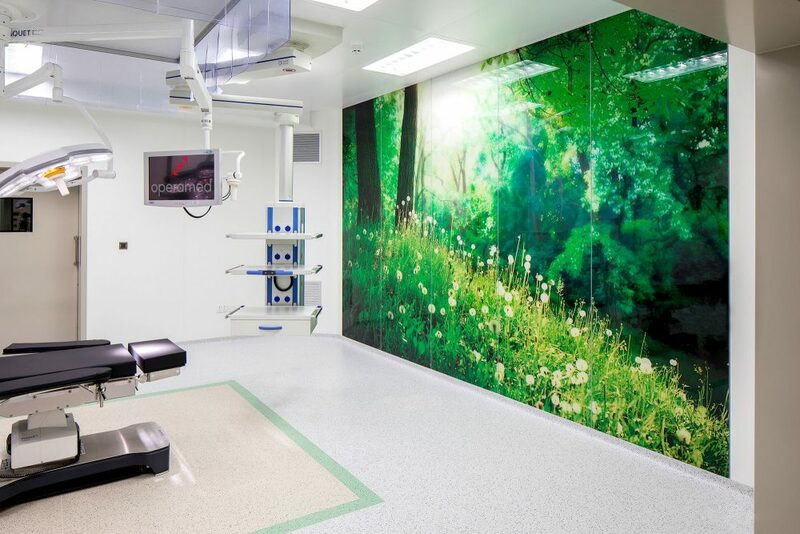 The panels digitally printed with Cromoglass® often depict natural environments that recall a feeling of peace and well-being both in the patient and in the surgeons who carry out the operations. In order to be used in sterile environments such as operating rooms, the glasses must be subjected to HST, to avoid possible spontaneous cracks in the surface caused by the inclusion of nickel sulphide particles. 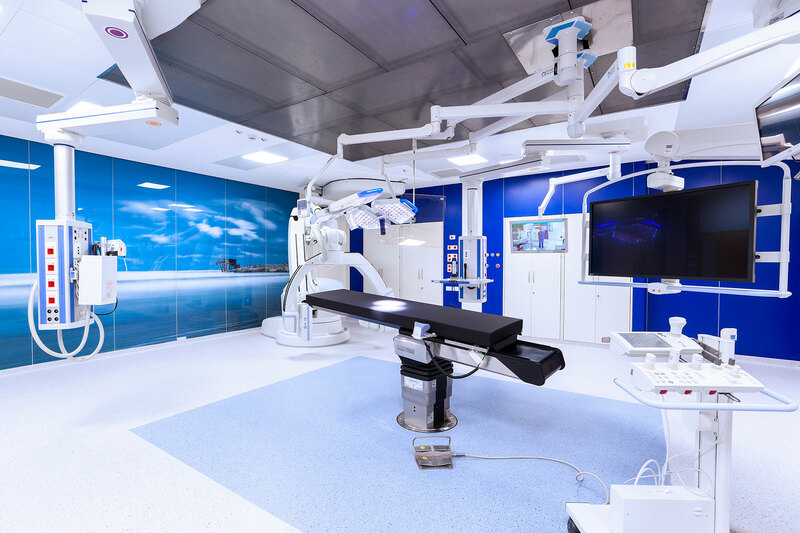 These are also easily cleaned and therefore facilitate an easy and efficient maintenance and sterilisation of the rooms.